After what happens in Sleeping Dogs, I couldn’t see any way for Jon to stay in the Major Incident Team. So what could I line up next for him? Which other parts of the police are routinely high in risk and big on danger? Increasingly, I’ve seen the scope for plots related to terrorism. Ones that explore interesting areas beyond the simplistic ‘Evil Individual Goes On Rampage With A Gun’ scenario. 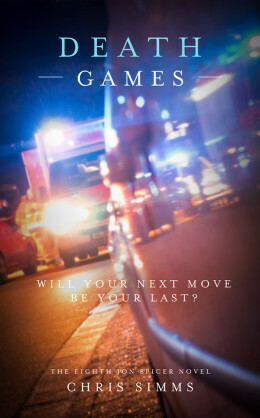 Death Games is, first and foremost, a thriller. In the aftermath of a motorway pile-up, traffic police stumble across evidence an atrocity is being planned. A passenger, despite being seriously injured, flees the scene. 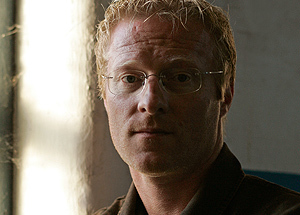 Jon Spicer, newly trained as a Specialist Firearms Officer, is part of the team asked to find him. So I needed good information on what he’d be expected to do at the sharp end of a Counter Terrorism Unit operation.